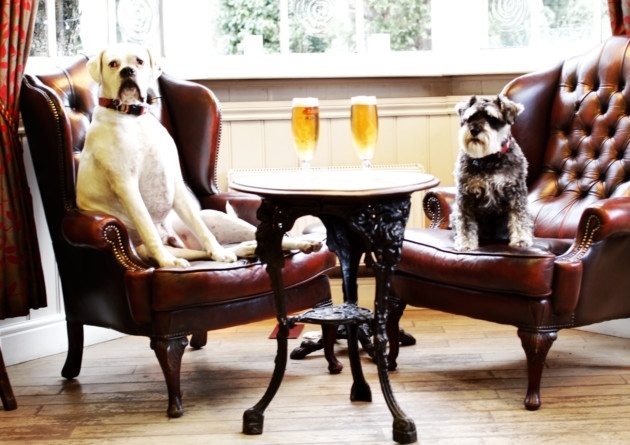 What could be better than a springtime stroll followed by a pint with your pooch? 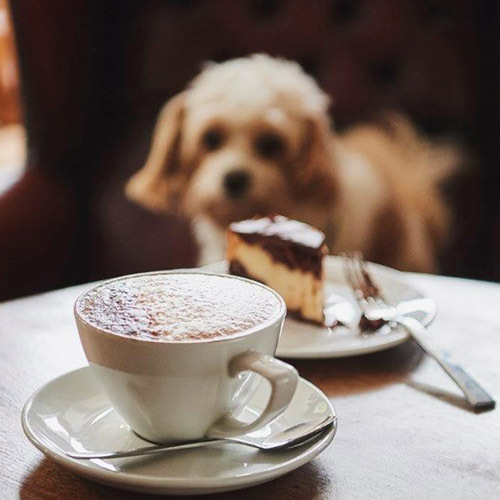 The Tails team have sniffed out their top dog-friendly pubs in the Surrey area, so whether you’ve been stretching those legs along the Surrey Hills or simply want some good grub, we’ve got you covered. Deep in the Surrey Hills this super cosy traditional freehold pub has it all. We loved it’s cosy fires and delicious menu, packed with local vegetables and meat reared on its own farm. There is even a fantastic farm shop next door to stock up on fresh local goodies. Dogs are very welcome and there are plenty of walks to suit all, from a wistful wander around the green to working up an appetite trekking to the top of nearby Leith Hill. This three time-winner of Surrey and South West London’s ‘Pub of the Year’ is a mere stones throw from the stunning surroundings of Hampton Court and Bushy Park. Perfect for a quick pint of two The Foresters is dog-friendly in the bar area and has lots of cosy nooks to hunker down in or you can watch the world go by on one of its perfectly placed benches outside. Calling all foodies, hounds and humans alike. You’ll be spoilt rotten at The Fox and Hounds, with a delicious menu and fabulous roasts and doggie treats too. We love this spot for a quick escape from the big smoke and a post-lunch ramble through Windsor park. 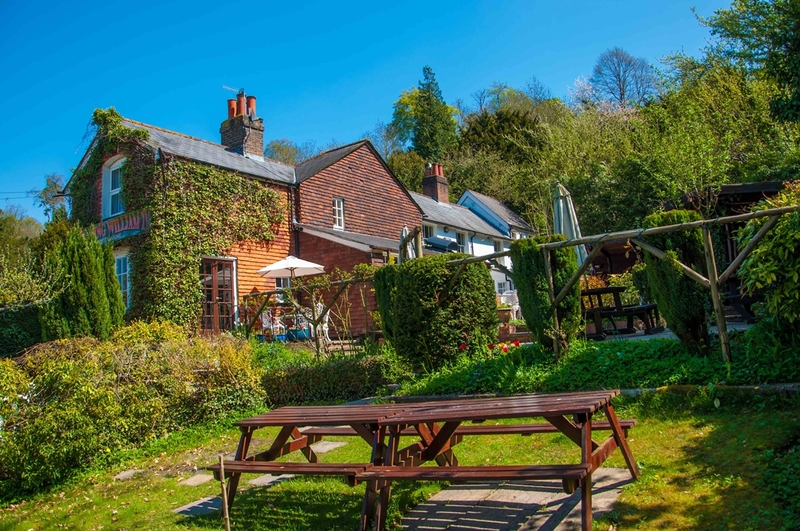 This delightful 15th century pub, in the quiet hamlet of Okewood Hill, a location featured in the Domesday Book has an impressive menu of locally source fare and has the Sussex Border Path on its doorstep, ideal for those feeling adventurous. 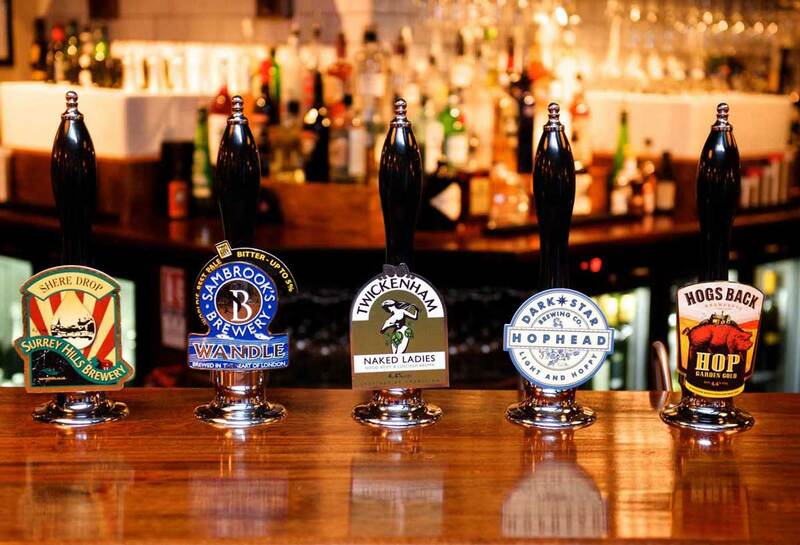 Nestled on the banks of the River Thames, The Boaters is brilliant for beer lovers and happy hounds. The beer garden is an idyllic spot to soak up those springtime rays after a riverside walk and if you pop along on a Sunday expect some live Jazz as you while away the afternoon. For a fantastic weekend wander we love to take on the stunning Box Hill Circular walk with a visit to The King William en route, expect stunning panoramic views from its terrace garden where you can grab a light lunch and let your doggo re-charge before bounding up Box Hill. The King Willian IV, Byttom Hill, Mickleham, Dorking, RH5 6E, 01372 372590. 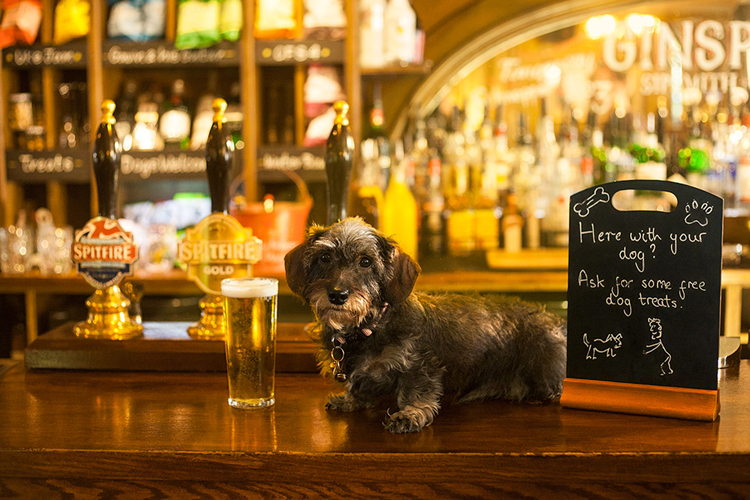 If that’s got you thirsty for more and your pup waiting by the door here’s a map of more amazing pubs in the UK that allow dogs.